Training: Started over fences - Jumping 3'3". Very quiet under saddle and over fences. Has not shown to date. Currently working on lead changes and cantering courses. Suitability: Would make a lovely hunter, equitation, or medals competitor. 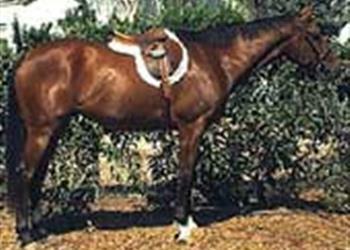 Exceptionally comfortable and rhythmic gaits. 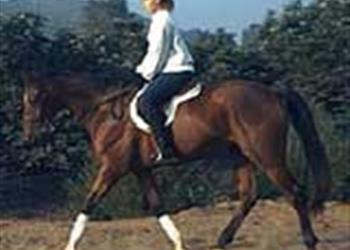 Comments: Exceptionally comfortable and rhythmic gaits -- safe mount for almost any level rider. Travels long and low in a nice hunter frame.